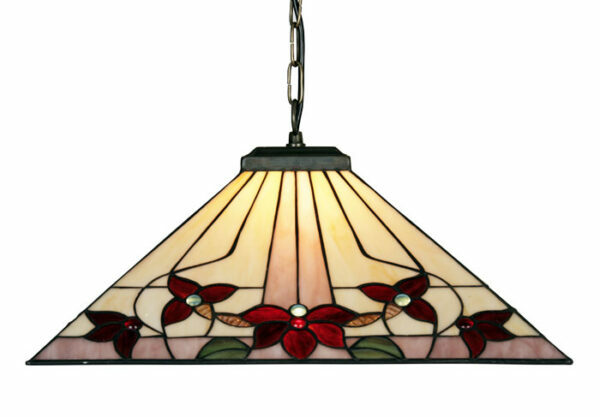 From our Tiffany lamp collection. Enjoy the beauty of tiffany with this stylish tiffany ceiling pendant, a new design from the Camillo Tiffany lighting range. Beautiful angular tiffany pendant light finished with colourful jewelled Tiffany shade.